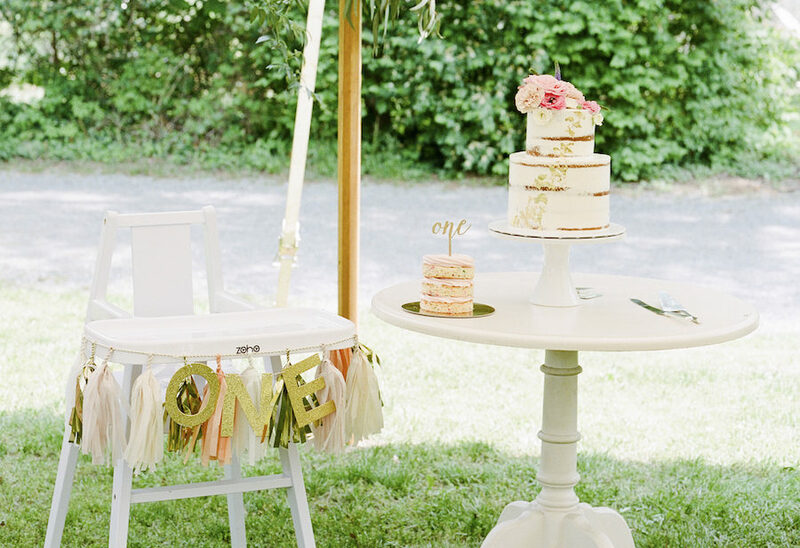 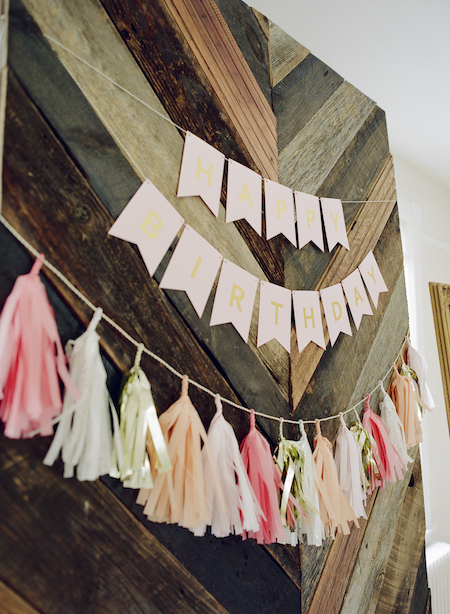 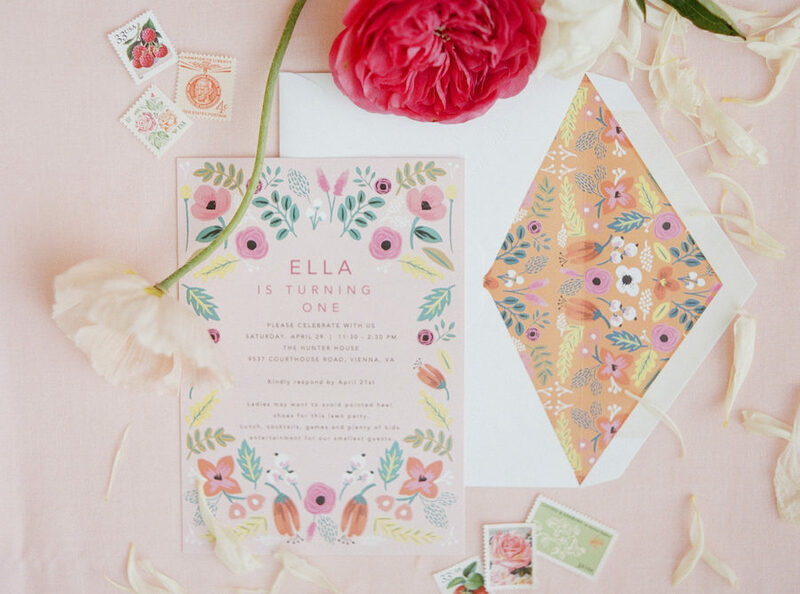 For sweet baby Ella’s first birthday, her mom wanted a colorful, relaxed and beautiful boho themed party. 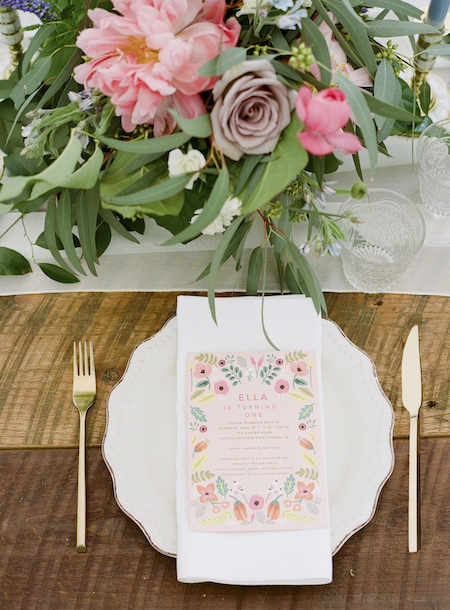 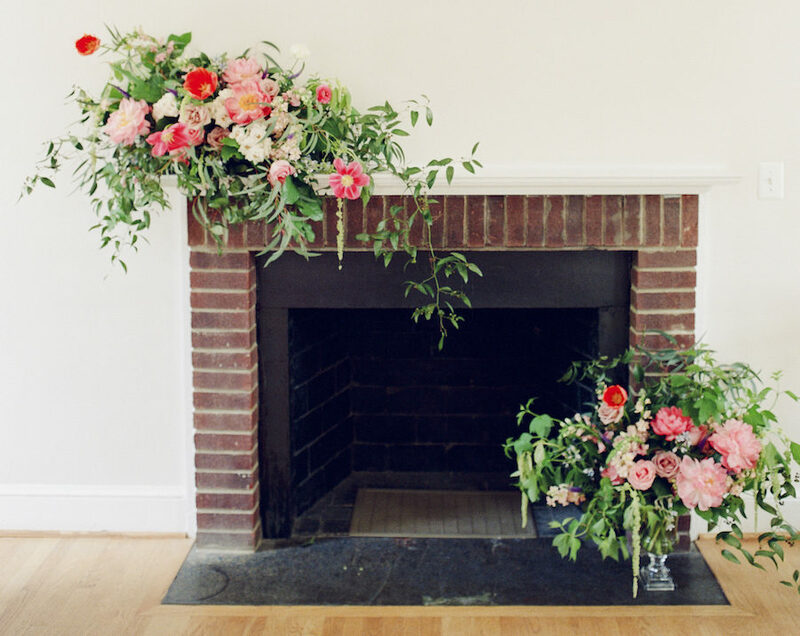 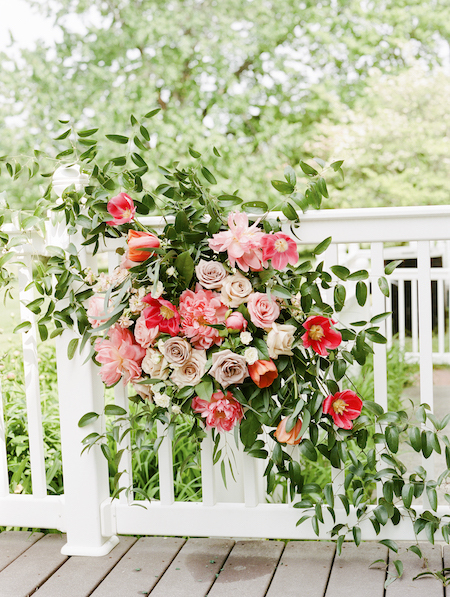 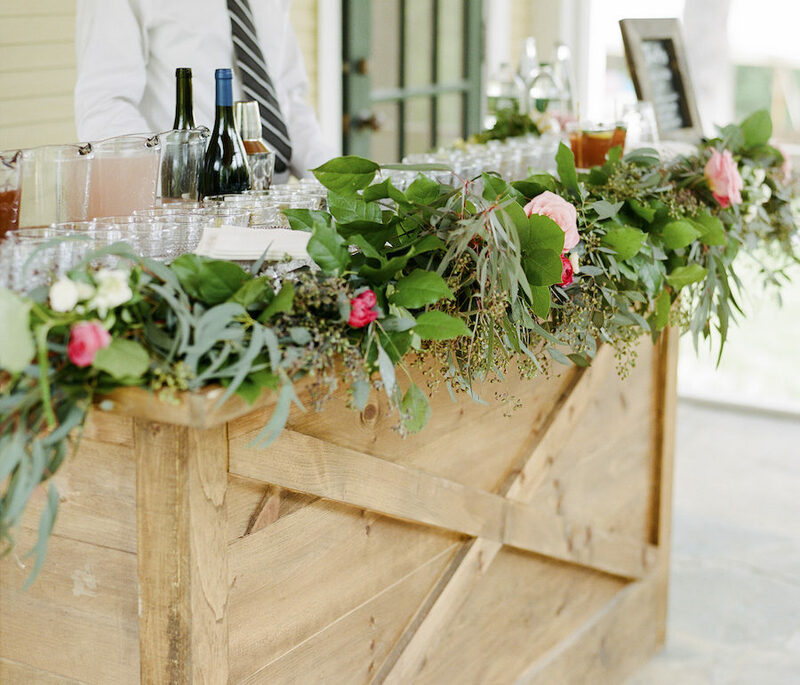 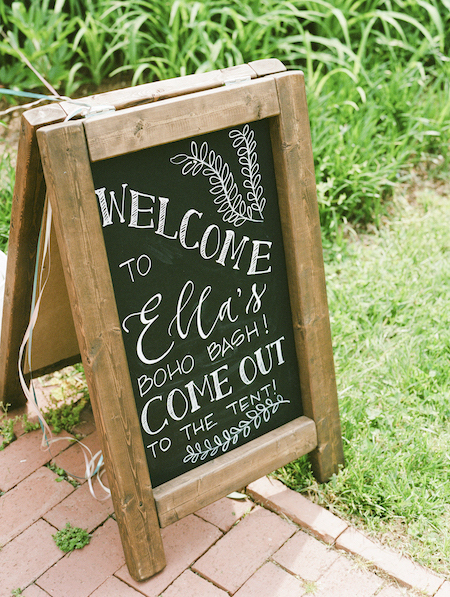 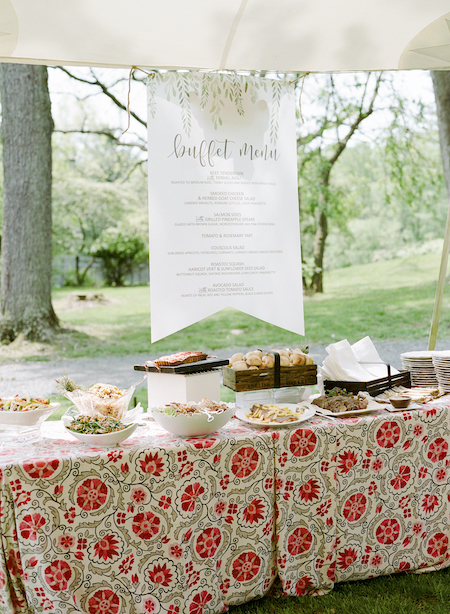 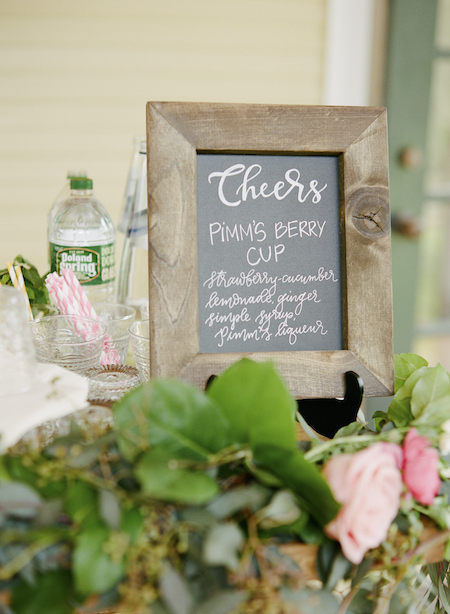 Hosted at the historic Hunter House in Vienna, guests were greeted with a luscious floral garland, a whimsical hand lettered sign and refreshing cocktails. 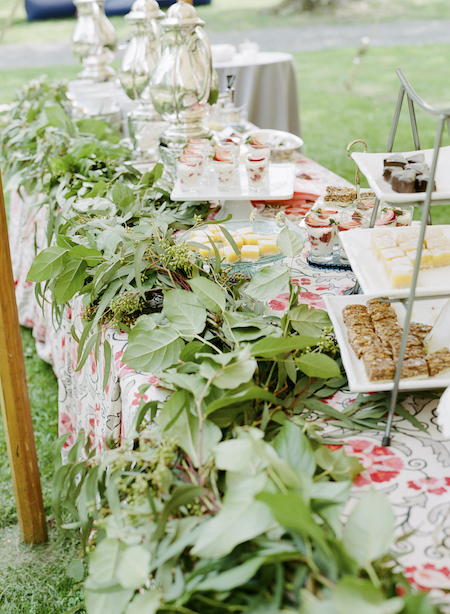 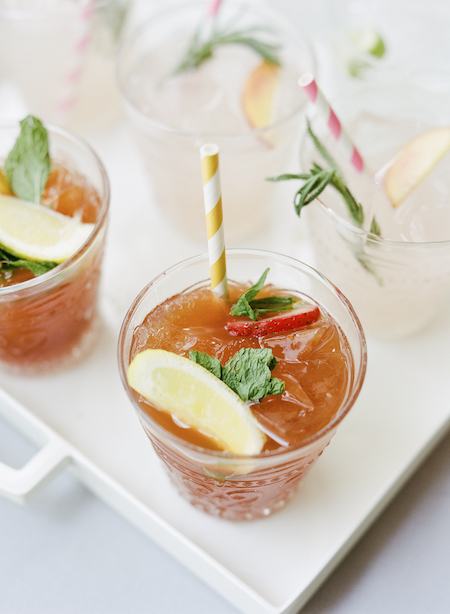 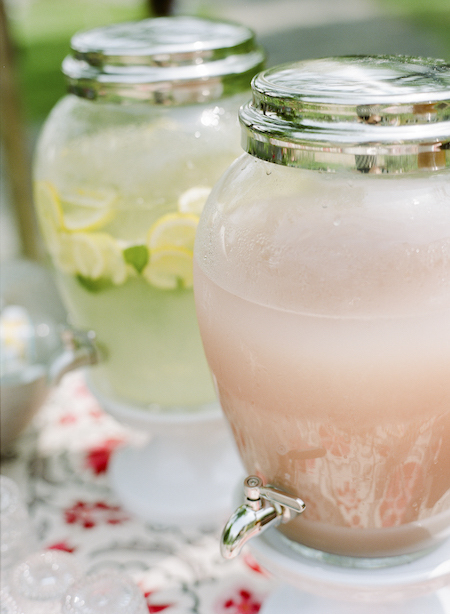 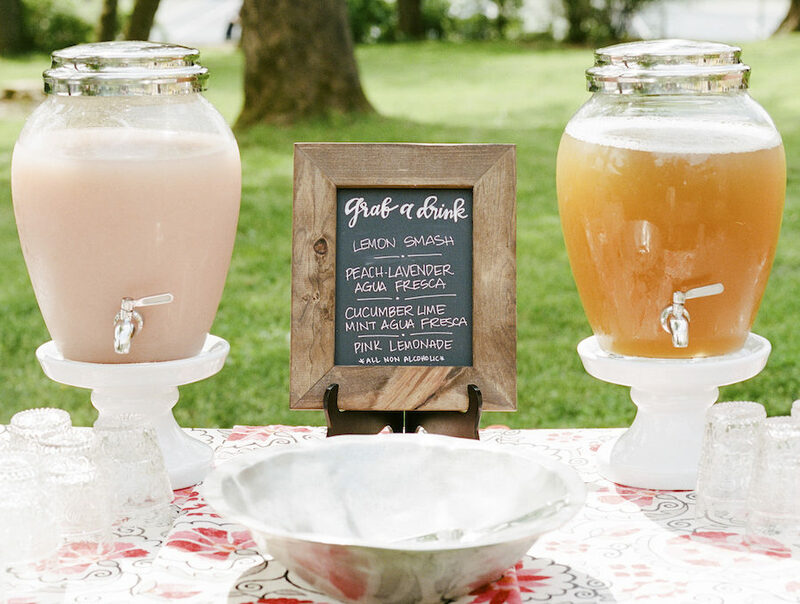 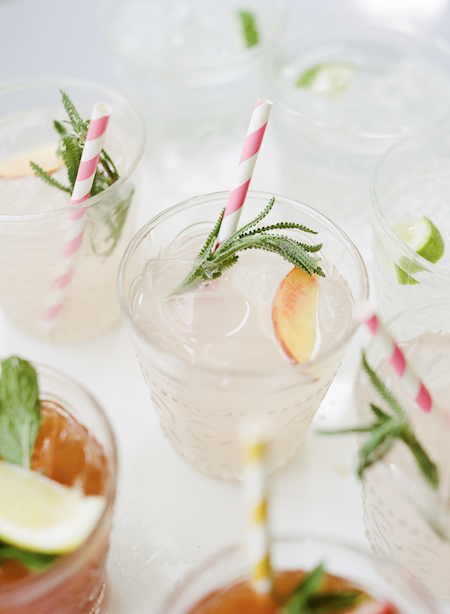 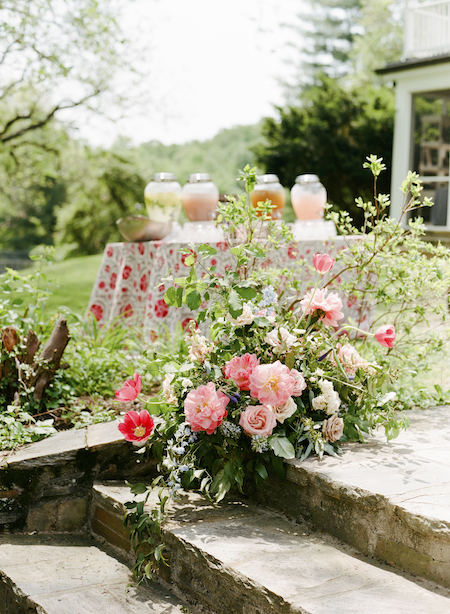 For the younger guests, a lemonade and agua fresca bar provided refreshment on the hot, sunny day. 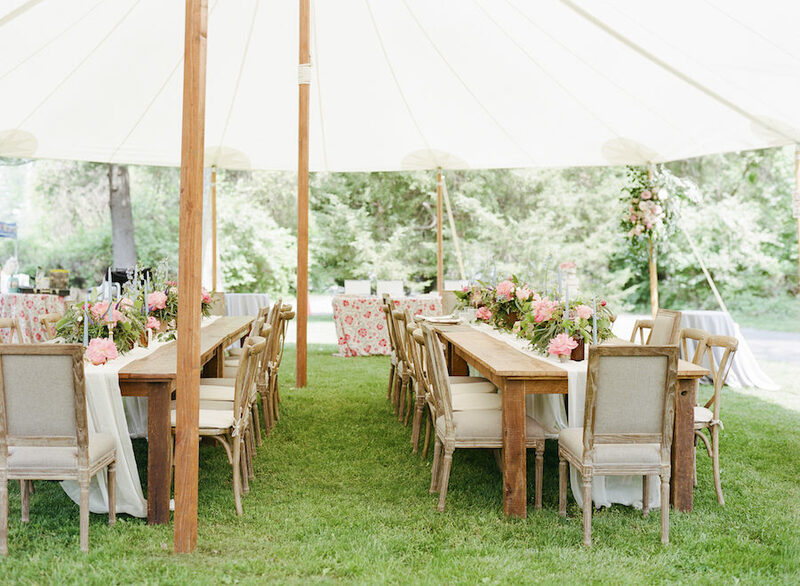 The sailcloth tent out back created the perfect setting for guests to celebrate the birthday girl. 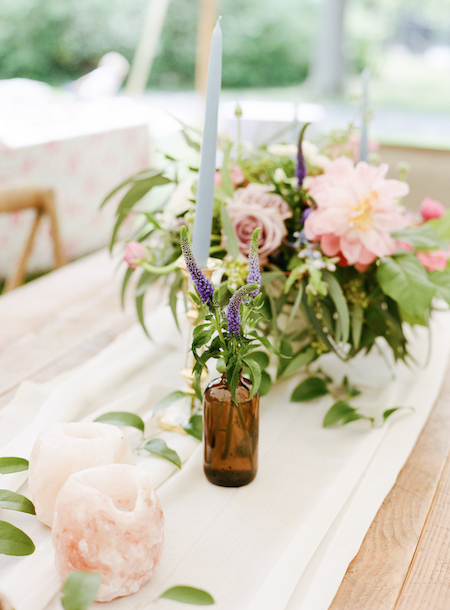 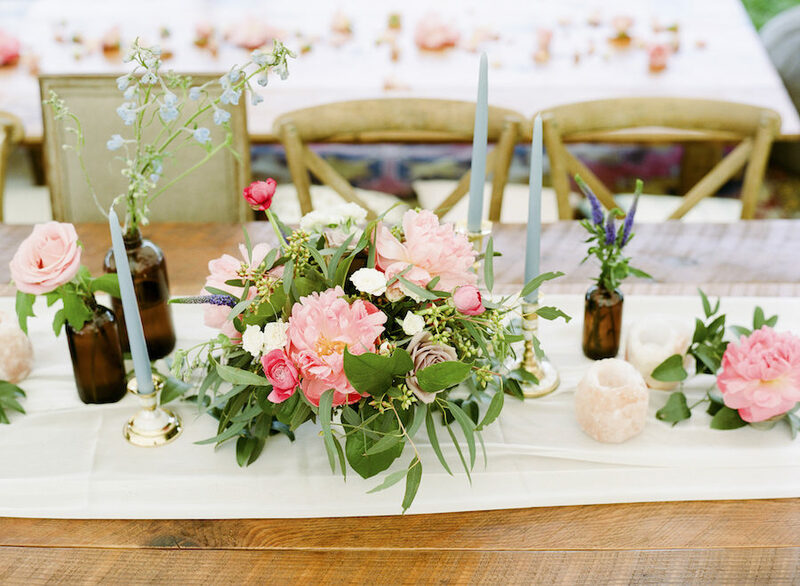 Rustic farm tables, mismatched chairs and mix of lovely flower arrangements and candles invited guests to find a spot to sit and eat. 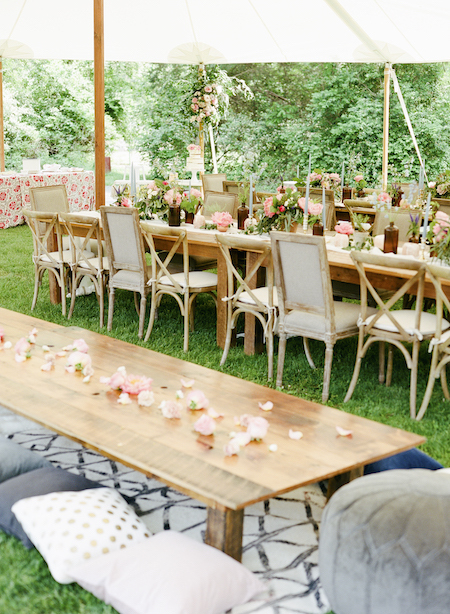 The kids table was a big hit – low farm tables with pillows, poofs and scattered blooms were the right height for the younger crowd. 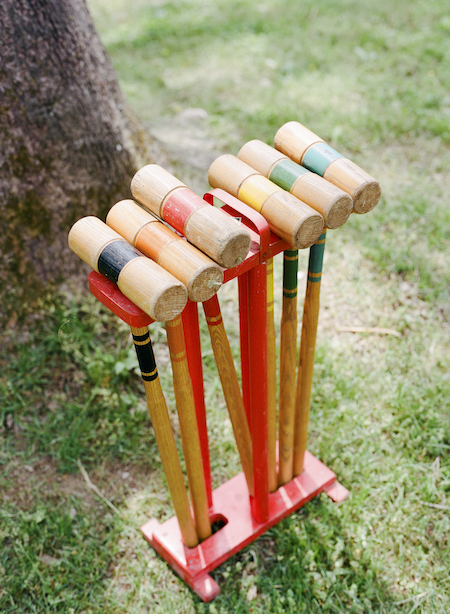 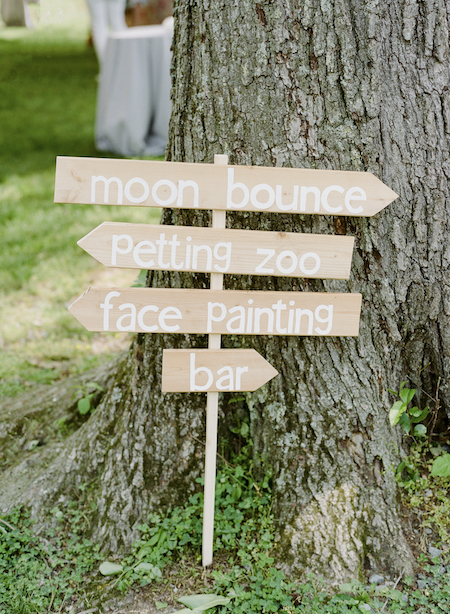 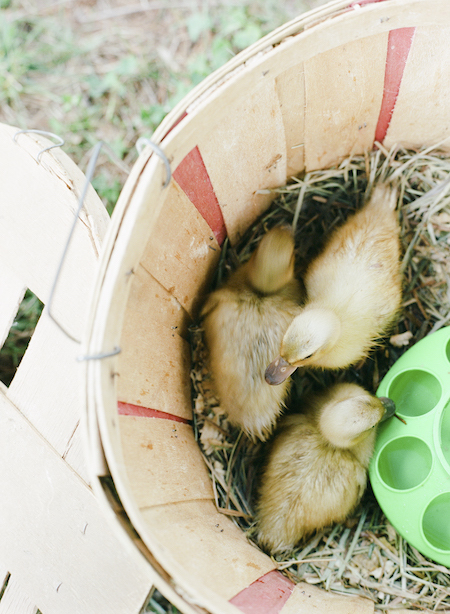 For entertainment, the kids could go to the petting zoo, moon bounce, and face painter. 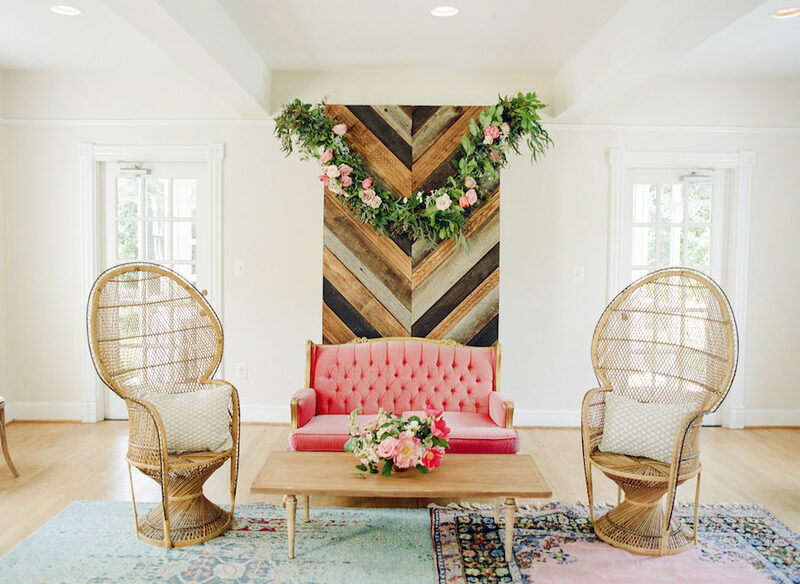 A sweet pink and wicker lounge grouping inside the house was a cool and relaxing reprieve for hot guests. 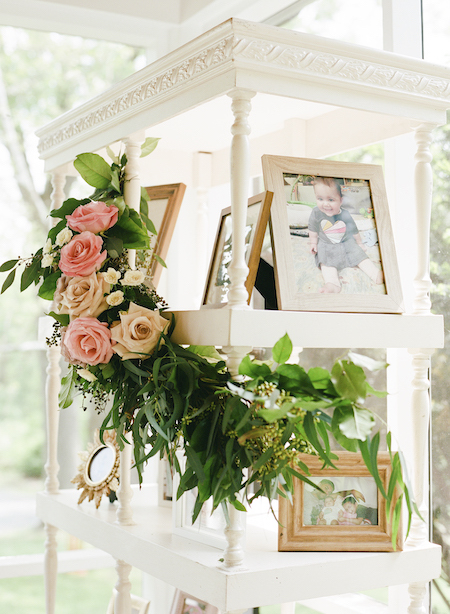 The selfie station was a great spot to take a photo to commemorate the day. 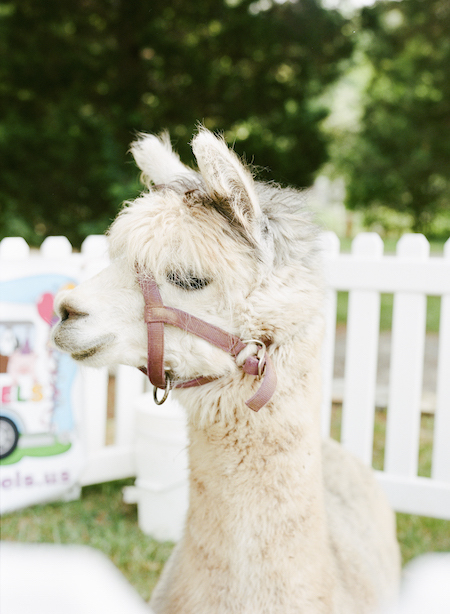 The Great Zucchini put on a magical performance for the kids, followed by birthday cake from Buttercream Bakeshop for a sweet end to the day. 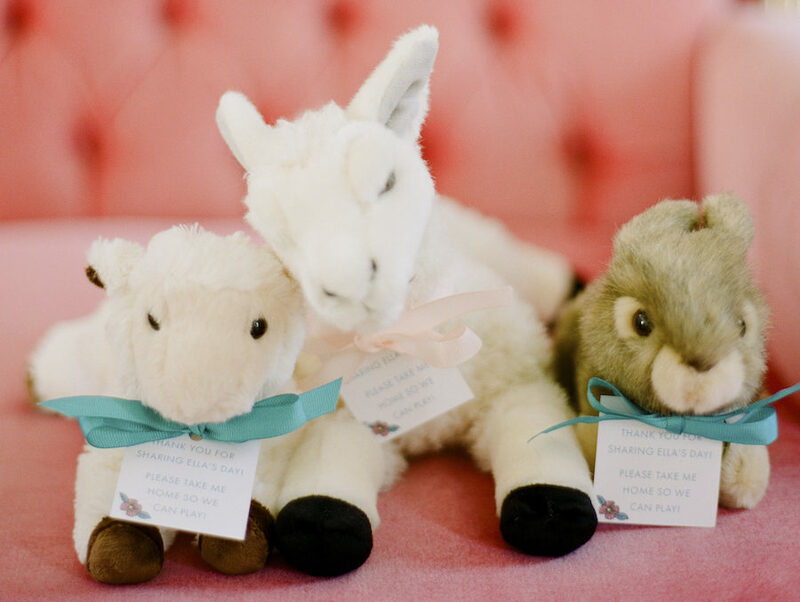 The little guests got to choose their favorite furry petting zoo animal to take home with them to remember the celebration!